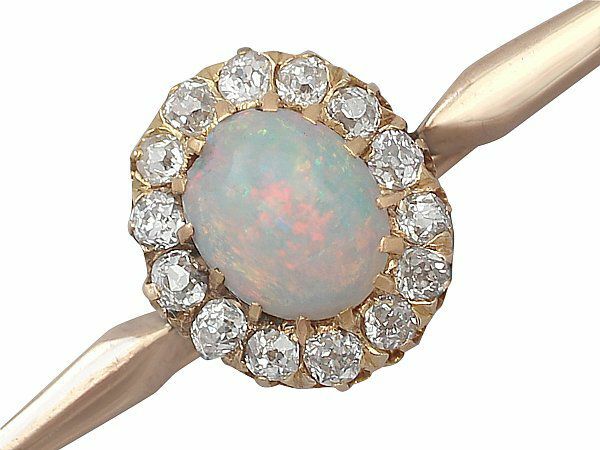 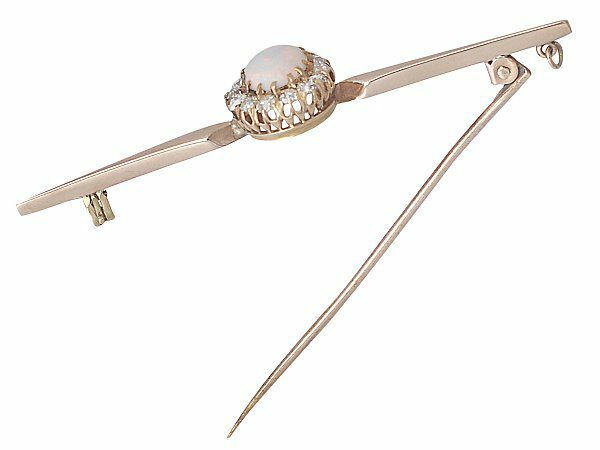 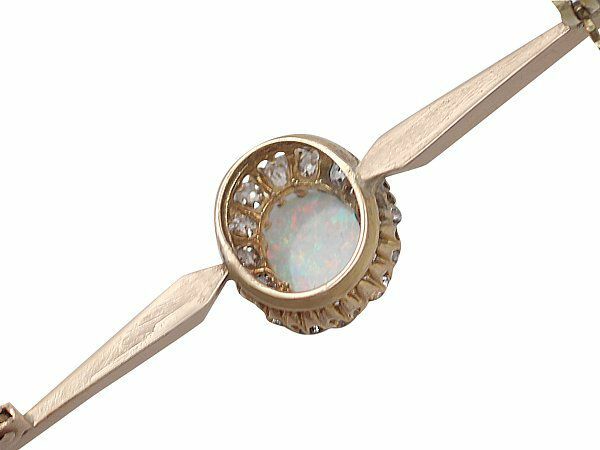 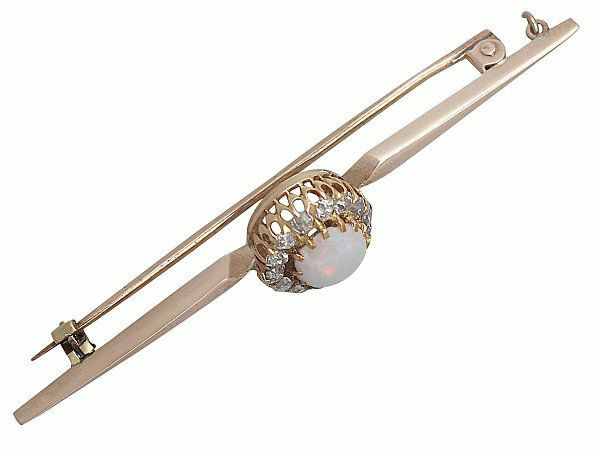 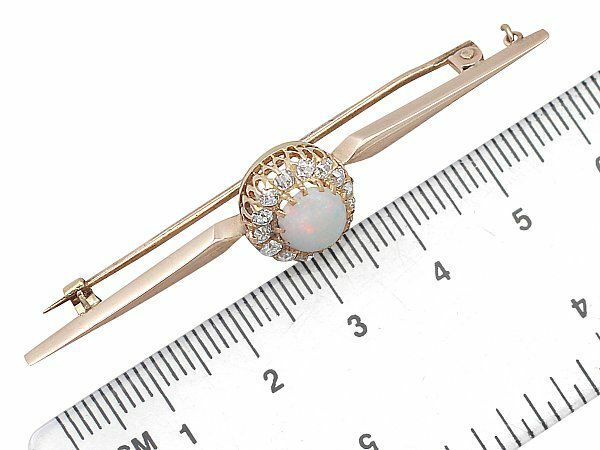 This antique opal brooch has been crafted in 9 ct yellow gold. 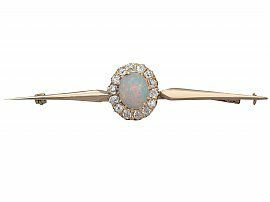 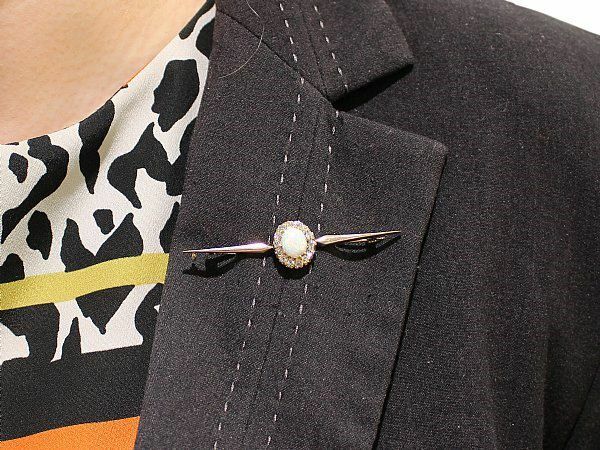 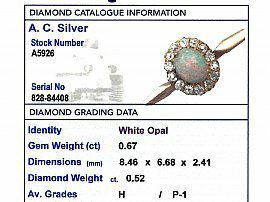 The brooch displays a 0.67 carat, oval cabochon natural opal claw set in subtle relief to the centre of the pierced decorated frame. 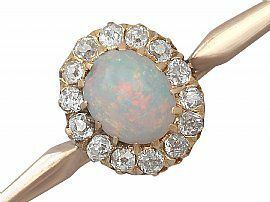 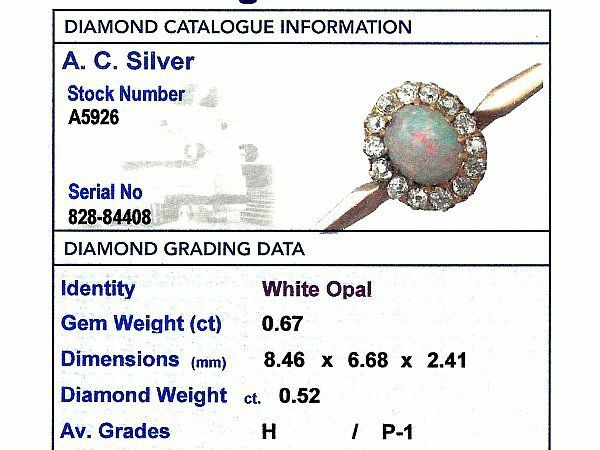 The feature opal is encircled by fourteen Old European round cut diamonds. The plain 9 ct yellow gold bar has a tapering form. This fine example of antique jewellery secures to the reverse with a hinged pin and clip style fastening. 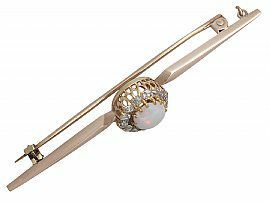 This antique brooch has been independently tested using state of the art technology (Niton XL2 Analyzer) and verified as 9 ct gold. The opal brooch displays more colour and fire in reality than reproduced in the images and video. 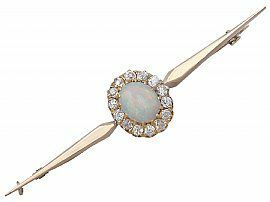 This brooch is very good quality, set with a natural opal and old cut diamonds. 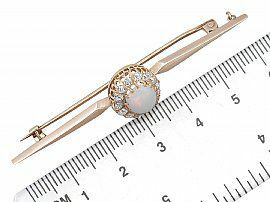 Length of setting 1.35cm / 0.53"
Width of setting 6.30cm / 2.48"
Height of setting 7.80mm / 0.30"